Take me to anywhere that’s over a 10 hour flight away, and I’m bound to get emotional when it’s time to leave. This is because I know this is most likely a once in a lifetime trip, and it’s unlikely that I’ll be back. That’s why holidays to far flung places are some of my most special trips, and why they make up the majority of my travel wishlist. At at least 17 hours away by plane including a stopover, Hawaii definitely falls into this category for me. It’s not a short hop away for us, which makes its appeal all the more alluring for me. Hawaii is an archipelago of eight major islands, several atolls, numerous smaller islets, and seamounts in the North Pacific Ocean. There is a lot to explore! But no matter where you decide to go in Hawaii, you can find accommodation and Hawaii rental homes across all Hawaiian islands and to suit all budgets. Hawaii has been on my travel wishlist for such a long time, here are the reasons why and some of my most anticipated things to do in Hawaii. I don’t surf, but I’ve always been fascinated by huge waves. Hawaii gets some of the biggest breaks in the world. I’ve always wanted to visit some of those beaches and get a taste for how ginormous those waves are in real life. The legendary Jaws in Maui has arguably the biggest waves in all of Hawaii with it’s swells that are rumoured to reach over 120 feet. Oahu’s North Shore is perhaps the most well known surf spot in Hawaii. Home to the infamous Banzai pipeline, “the most famous surf break in the world”. Hawaii Volcanoes National Park on the Island of Hawaii (also known as Big Island) is one of the few places in the world where visitors can come face to face with an active volcano—a truly unforgettable experience. Visitors can take the 10 mile drive around the Kilauea Caldera, taking in the famous sights on your way. The boys and I are obsessed with this footage of lava from the Kilauea volcano pouring into the sea. You can take a boat right up to this part of the Kilaeuea volcano to see similar sights. Also on Hawaii Island, otherwise known as Big Island, is Mauna Loa. Mauna Loa is the world’s largest and one of its most active volcanoes. This mountain volcano is a truly spectacular sight. You are truly spoilt for choice when it comes to dramatic landscapes and breathtaking vistas in Hawaii. 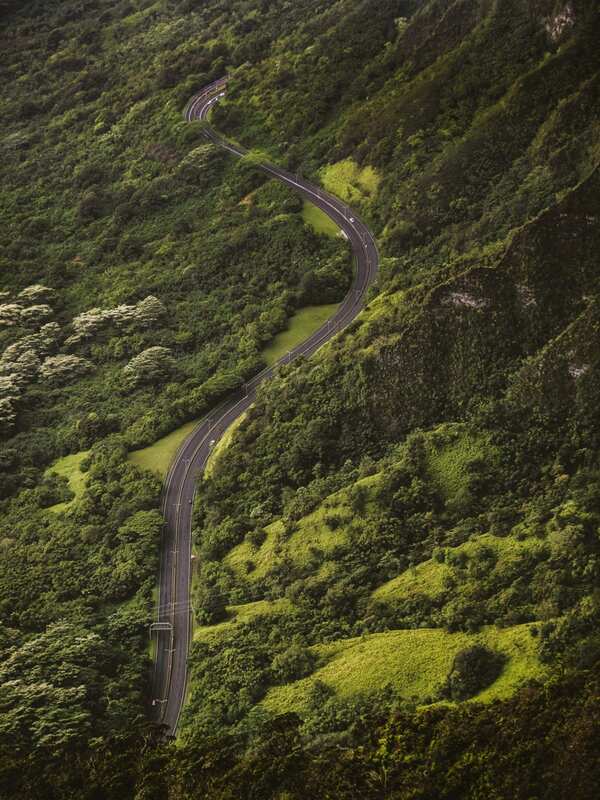 Take a drive the mountains of the Pali Highway on Oahu. The Pali Highway connects Honolulu with the two main towns on Windward Oahu, Kailua and Kaneohe, and is one of the most scenic routes in the whole of Hawaii. The stunning coastline of Na Pali on Kauai Island is accessible by flying only. Take a helicopter tour to see Na Pali’s spectacular 4,000ft high cliffs and crashing waterfalls. Jurassic Park fans will be spoilt for choice in Hawaii. Many of it’s most famous scenes were shot in Hawaii. Remember these scenes? There are numerous Jurassic Park Tours available in Hawaii. The steep wooden stairs that form Hawaii’s Stairway to Heaven (also known as the Haiku Stairs) on Oahu provide incredible photo opportunities. Note: It is actually illegal to climb the stairs from bottom to top – but there is a ( completely legal ) route that allows you to descend a little way down the stairs and get the same breathtaking photographs that you see on google. Oahu’s Stairway to Heaven looks completely other-worldly, and would be an absolute must-do for me in Hawaii. Of course, we couldn’t talk about Hawaii without mentioning the beaches. From world-famous Waikiki Beach to picture-perfect Laniki on Oahu, Hawaii is the ultimate beach destination. Seeing a humpback whale was one of the most incredible things I’ve ever done in my life. You can see humpbacks and other whales in Hawaii with one of many whale watching tours the islands have to offer. Wildlife fans will be pleased to note that Hawaii is a great place to spot sea turtles. For more info, check out this article for the best places to see Sea Turtles in Hawaii. Have you been to Hawaii before? What was the highlight of your trip? Or, if like me, you haven’t yet visited Hawaii, what one thing would you most like to do or see in Hawaii? 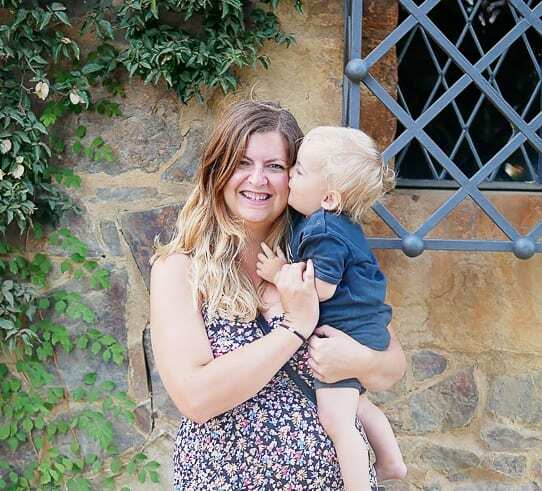 Thank you to Luxury Retreats for partnering with Sorry About The Mess on this blog post.